Your WhatsApp chat history contains a lot of data. From the messages, you send your contacts to the attached images and videos that are often included along with the messages. Losing this amount of data can be devastating especially when the messages and attachments lost are important to you and given that we use WhatsApp for more than just pleasure, there could be very important messages. 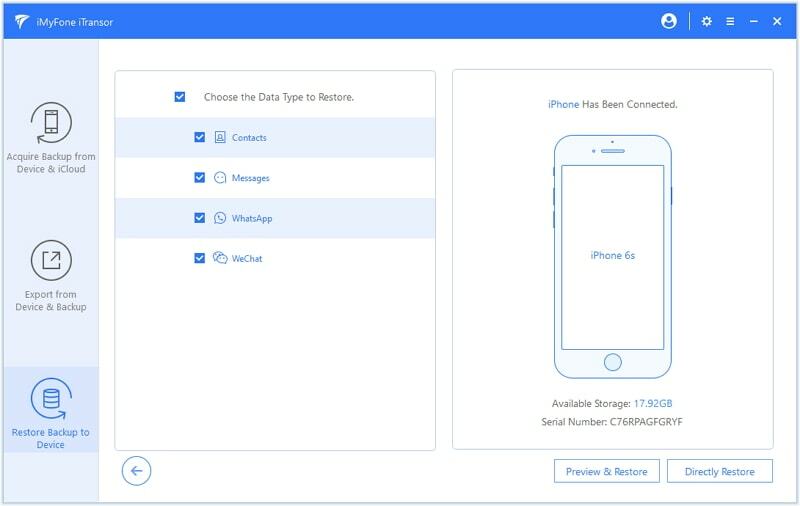 The app itself gives you the option to back up the messages and their attachments either to iTunes and iCloud and if you have either one, getting the missing messages back should be a breeze. But restoring your device from an iCloud backup requires you to delete the WhatsApp application and reinstall it. To restore them from an iTunes backup, you must restore the entire device which is time consuming, not to mention ineffective. If you've lost some of your WhatsApp messages, we have a solution that allows you to restore only them without affecting other data on your device. There is a tool that offers you more control in the way you back up and restore your WhatsApp messages. This tool is iMyFone iTransor (renamed from D-Port Pro), one of the best backup and restore tools in the business. the backup and restore processes with iTransor are quick and easy; a single click and the program executes the command given automatically. 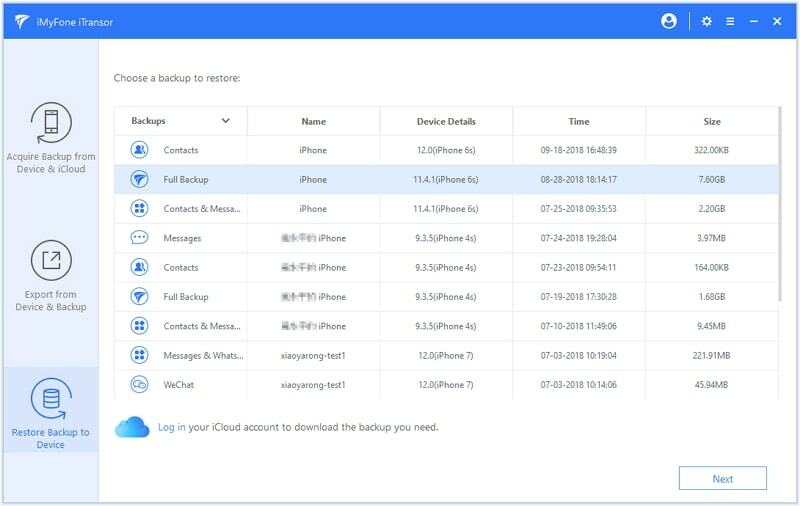 It allows users to choose to restore just messages, contacts, WeChat and WhatsApp data from both iCloud and iTunes Backups. 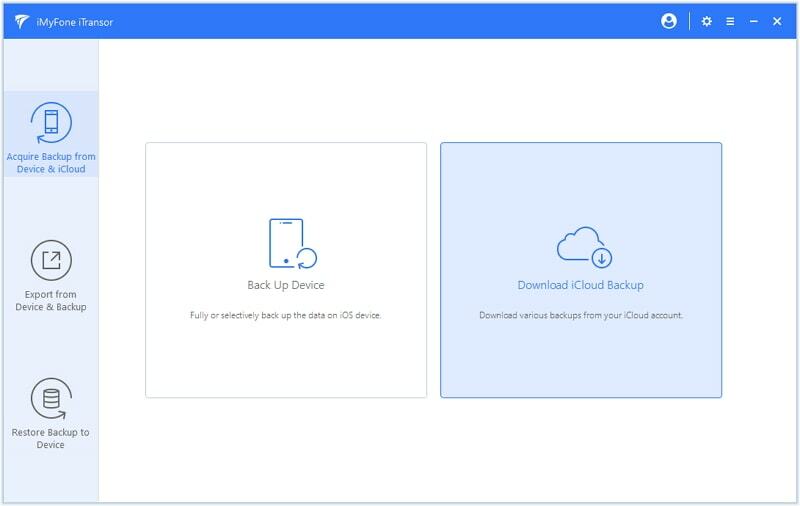 It will come in handy when you need to export data from your iPhone to your computer or even from your iTunes backup or iCloud backup to your iPhone. 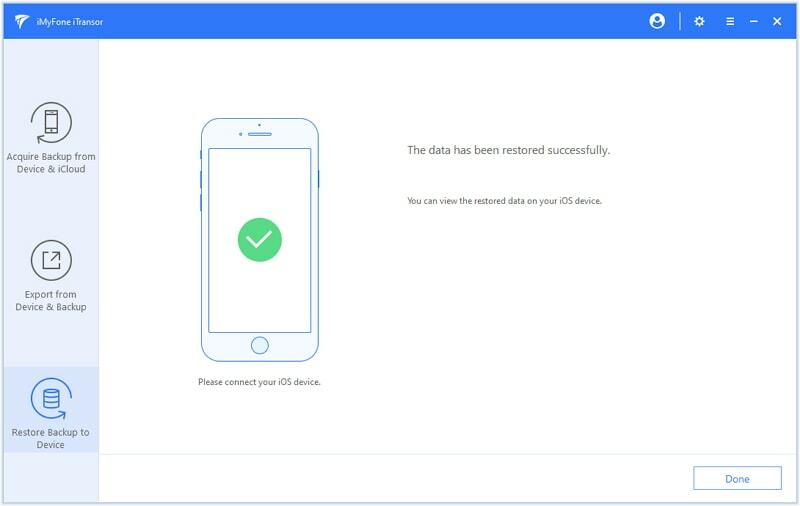 It can also be used to do a partial data restore without affecting the rest of the data on the device. 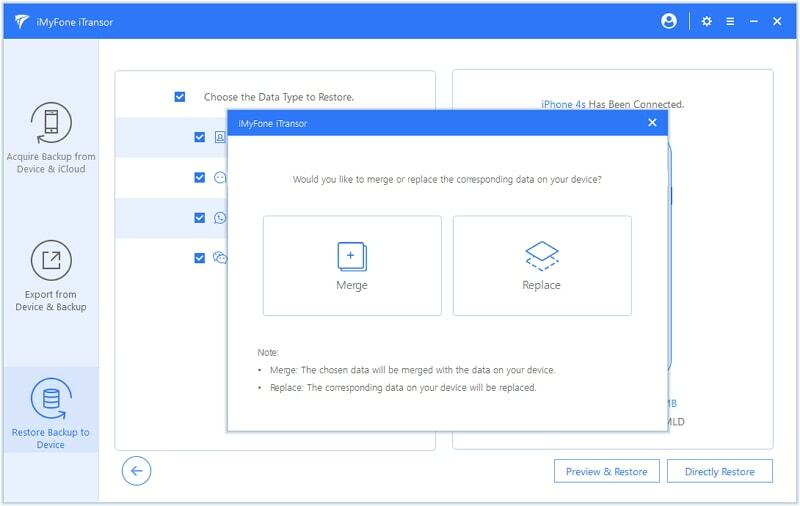 "Merge" and "Replace" options for both fully restore and partially restore. Various iOS versions are supported like iOS 12/11/10 and etc. To use iMyfone iTransor, begin by downloading the program to your computer. Run the program and then follow these simple steps to restore the messages from iCloud. Step 1: Select "Acquire Backup from Device & iCloud" and then choose "Download iCloud Backup". 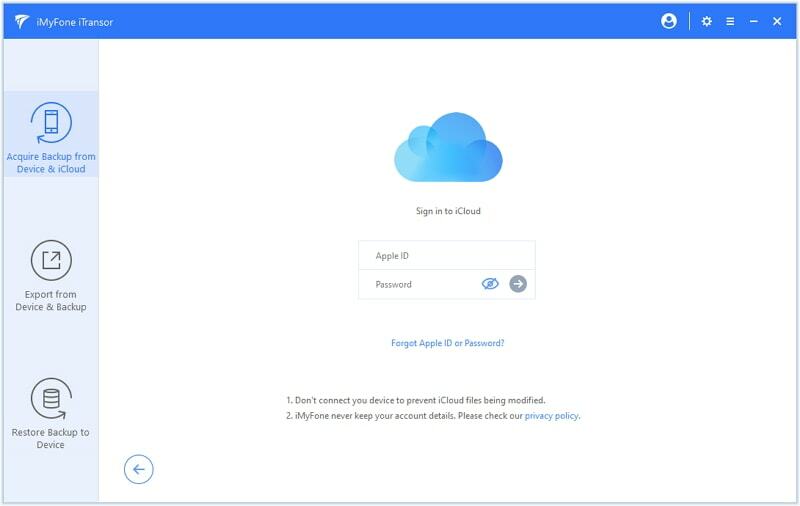 Then log into your iCloud account. 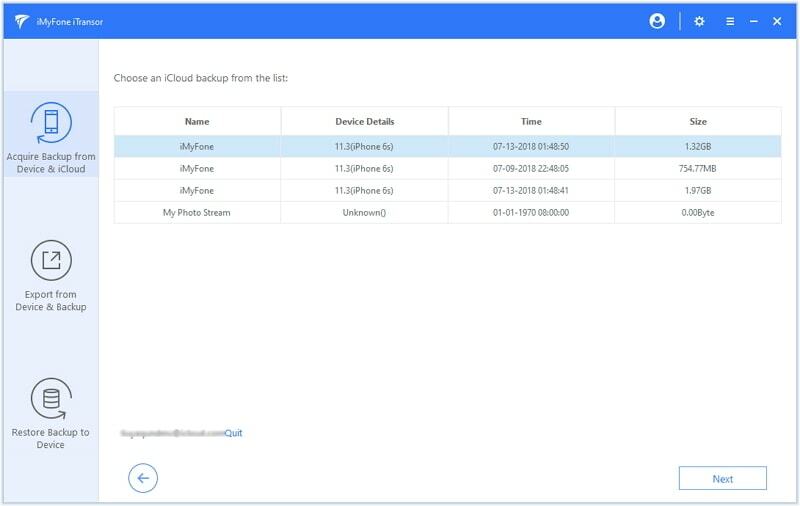 Step 2: Now all your backup files will be shown in the list. Choose one you want and click "Next" to download. 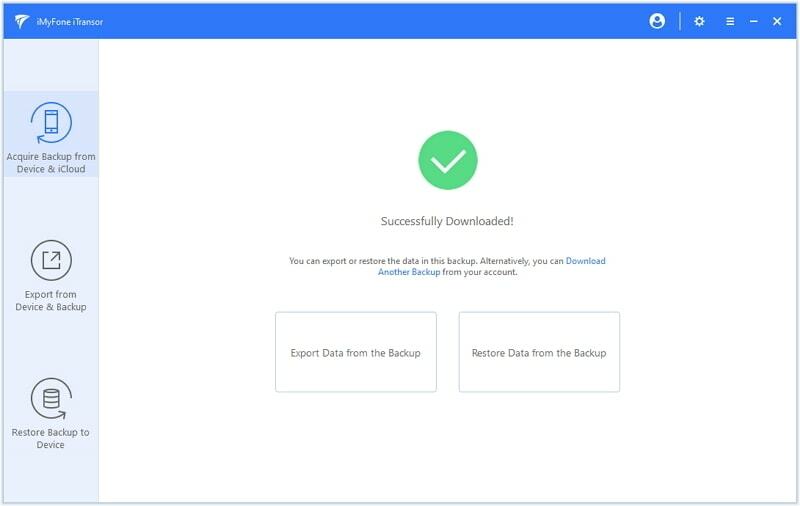 Step 3: You can choose "Restore Data from the Backup" once the download completes. Step 4: Here select "WhatsApp" data type and connect your device to computer via USB cable. Then choose "Preview & Restore" or "Directly Restore". Step 5: If choose to preview first, you should wait for a few minutes. Then click restore button and select "Merge" or "Replace" to complete the whole process. Step 6: After finishing this process, you can view the restored WhatsApp on your device. Step 1: From the main window, select "Restore Backup to Device" and from the list of backups, choose "iTunes" in the filter. Choose one you want and then click "Next". 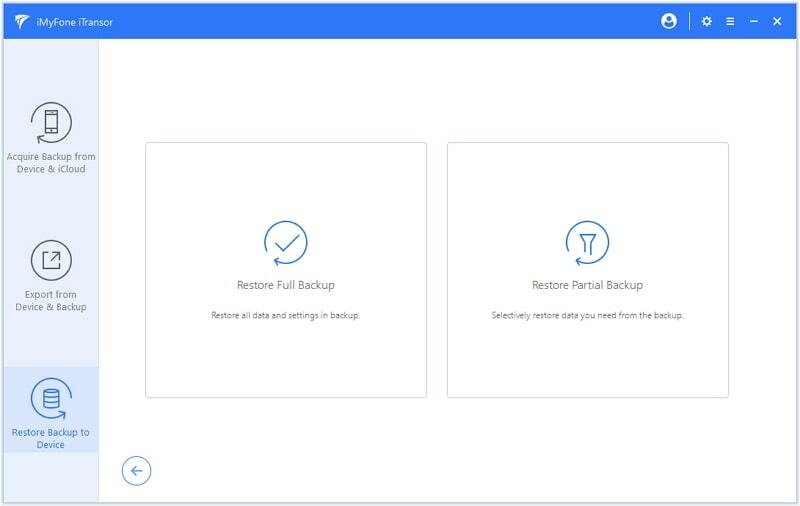 Step 2:You are required to choose "Restore Partial Backup" to continue. Step 3: Tick "WhatsApp" data type and connect your device to computer. Then choose to restore with or without previewing. Step 4: If you want to save time, you can choose restore directly. 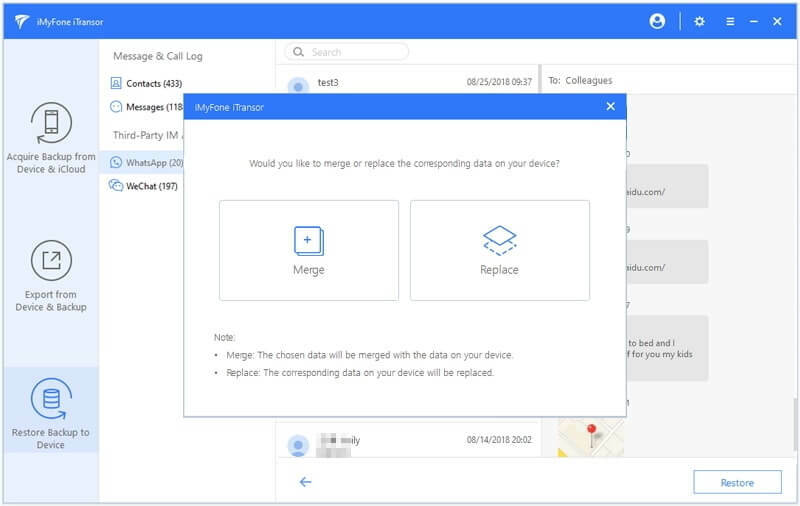 Then you need confirm that whether you would like to merge or replace the corresponding data on your device. Step 5: Once the restoration finishes successfully, you can view the restore WhatsApp data on your device.